Charming Modern Farm House on 5 lush acres. 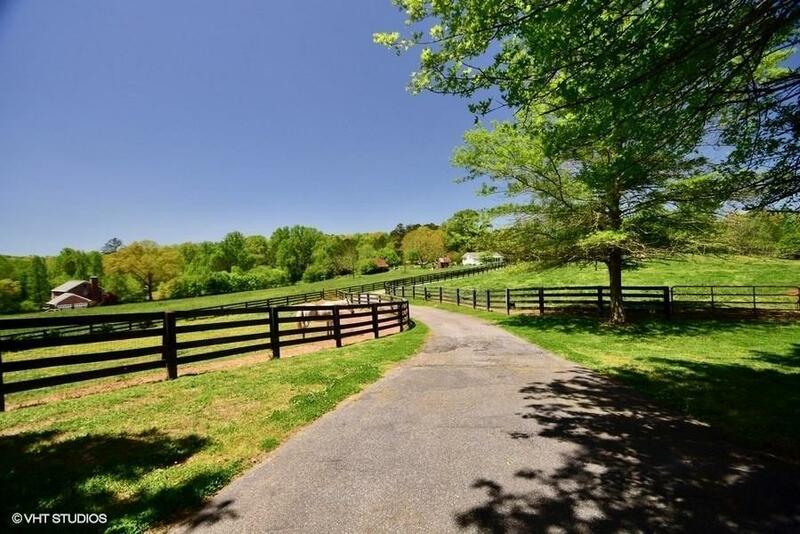 This lovely home welcomes as you wind down the drive to the super vantage point overlooking a bucolic scene. Wrap porch, 100 yr heart of pine floors/open plan/ fabulous kitchen/Viking range/ farm sink/ marble countertops/ island. Spacious private Master on Main. Great sized bedrooms up. Large living area below/2nd fireplace/full bath/ storage space. Room to grow and make your memories here. Detached garage/ storage/tack/feed bldg/chicken coop/ herb garden/ X-fenced. Brand new roof. Several perfect spots to build your barn!